There have always been people in my family that quilted. I never had a lot of interest until recently. the left and small scissors on the right. For Christmas, I received a Brother sewing machine and decided to learn to quilt. 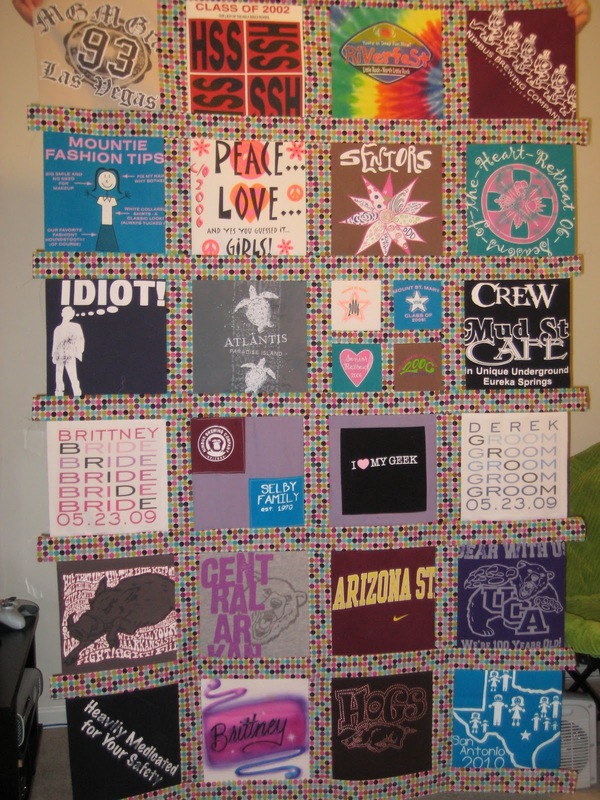 My first project was to be a t-shirt quilt of all the t-shirts I have that hold sentimental value but are no longer viable to wear. Kim spent a day teaching me the basics of quilting and the skills that I would need to pull of my first quilt. I learned interfacing, measuring and cutting, squaring blocks, sewing, making a quilt sandwich, quilting and binding. These were all fairly simple on the small scale I was working on. This is the product of my learning to quilt and sew. Can you believe that I have never sewn a stitch on an machine before this tiny quilt? 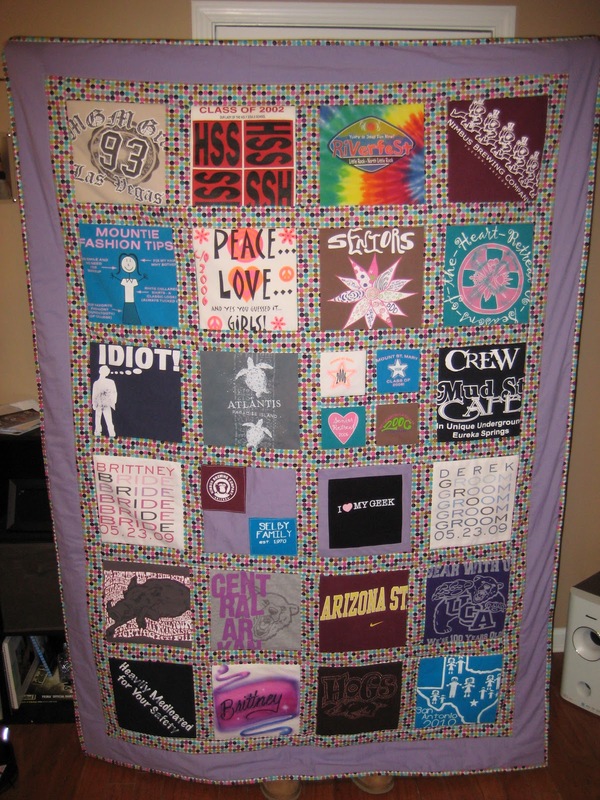 When getting back to Arkansas, I started on my t-shirt quilt. I took a day off work and started interfacing the t-shirts and cutting many squares. This was the end product of piecing the quilt top. 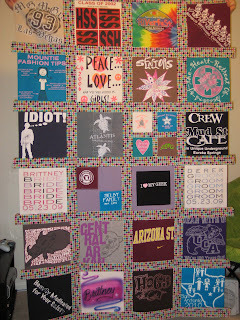 It took ten days from start to finish for the t-shirt quilt. That was some really hard work using hundreds of meters of thread. I went through a whole 500 meter spool on this quilt alone. After working on the t-shirt quilt I got hooked. I started following all of the quilt blogs on right side bar. My favorites are probably Film in the Fridge and PS I Quilt. In my next post, I will show my stash and my latest project.